Clarks Mini Ezra boys walking shoes. It features a soft leather upper with punched hole detail and contrast stitching that adds a sporty edge. The cushion leather insole and padded collars provide lasting comfort, making it great for all day wear. 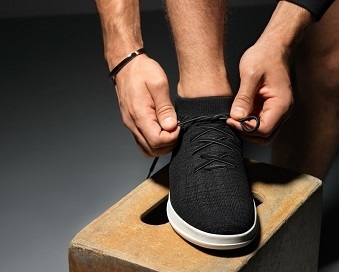 Adjustable velcro fastenings allow for the perfect fit and also means it is easy to put on and take off. 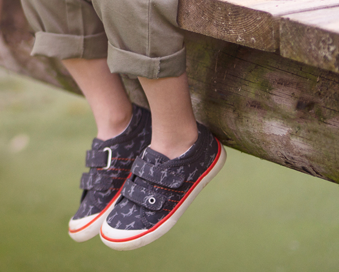 A great everyday shoe that is sure to keep little ones looking trendy all season!